I'm always on the lookout for fantastic DIY Valentines for my daughter to give to her school mates. I've compiled a few of my favorites...these are just adorable! 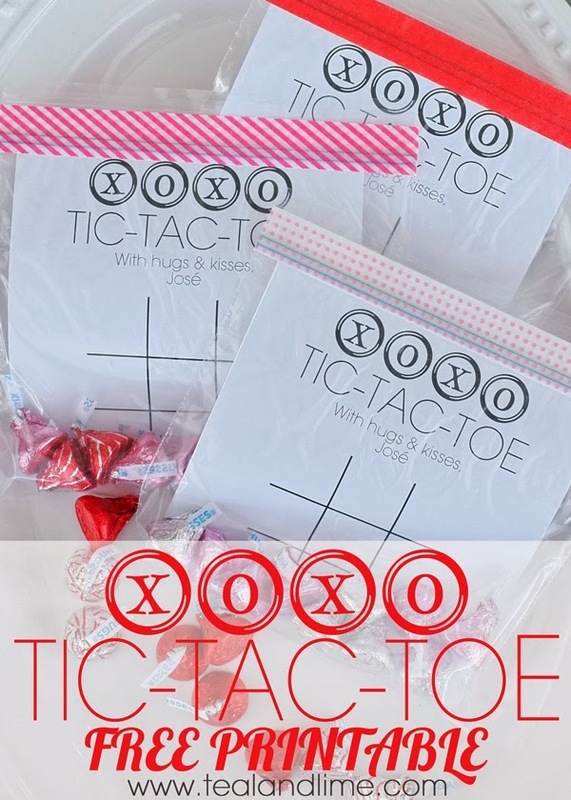 I found this idea last year on Teal & Lime...super cute 'xoxo' tic-tac-toe printable, with two colors of chocolate kisses as the playing pieces. Unfortunately, I didn't have the cute washi tape, so I made some tweaks to the printable to add more color and fun (available below). My printable version is sized to fit on 4" x 6" card stock that I picked up from Staples ages ago (comes in huge quantities...always good to have on hand for last-minute projects). I added a pink heart border, colored tic-tac-toe board, and Valentine message at the bottom of the card template. 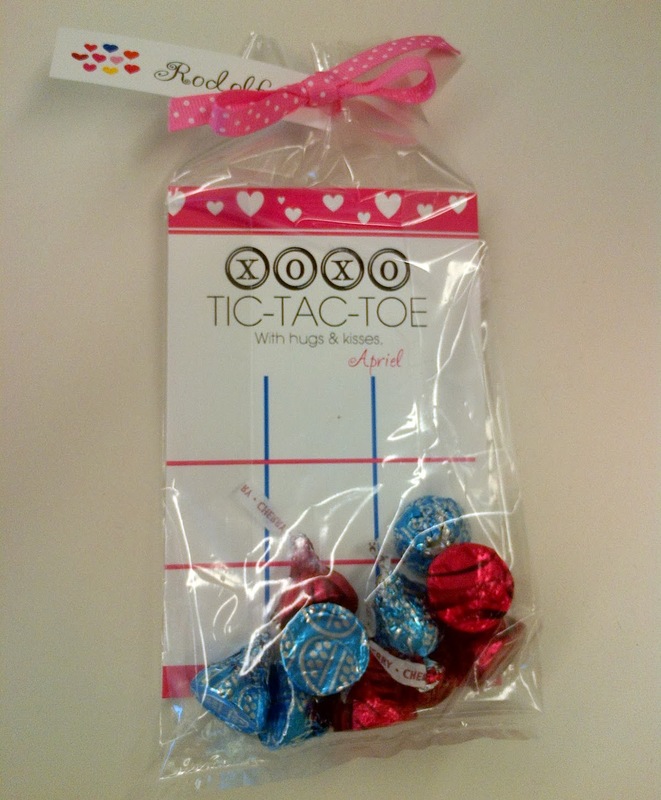 For the "game pieces", I picked up a few bags of different colored kisses in various shades of pink, silver, blue, gold, and red. I let my daughter pick the 2 colors for each friend. It was her task to put the 10 kisses (5 each of the two colors) into the individual bags. I will confess...some didn't quite make it into the bags...good thing I bought MORE than enough to go around. For the bags, I used clear cellophane bags leftover from Christmas (another REALLY good thing to have on hand -- you can find the 4" x 6" size on either Amazon or Michael's). To finish them off, I printed out some colored-heart name tags (I've included the printable below) and personalized with the name of each classmate and teacher (don't forget the teachers!) We tied the whole thing together with leftover polka-dot ribbon, and ta-daaaa...adorable! This next version is SUPER easy. 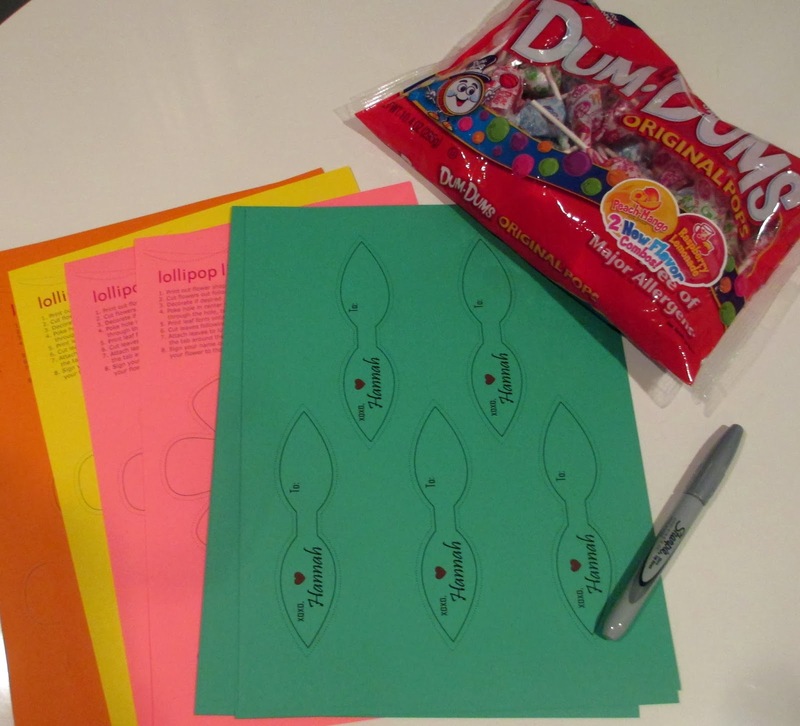 I found this idea on Skip to My Lou -- a great website for craft ideas and printables. 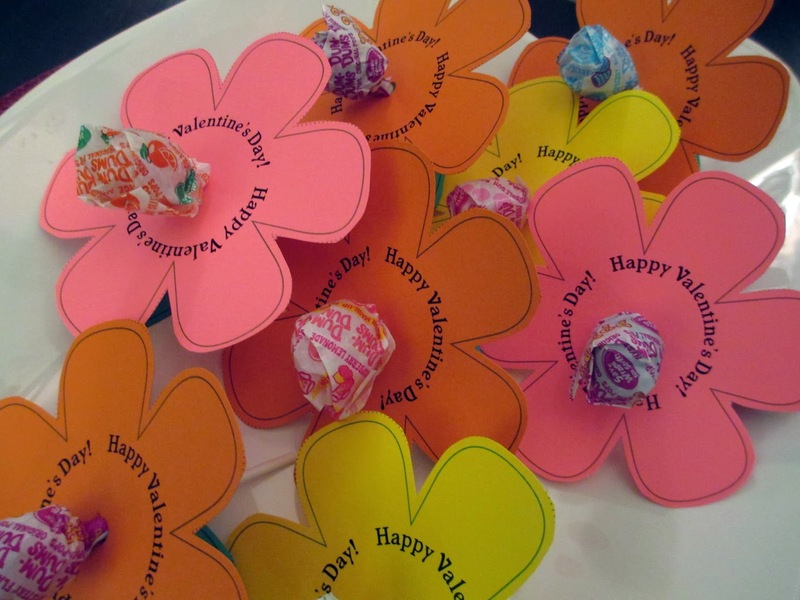 You'll need a bag of lollipops in bright colored wrappers, some colored card stock, and a contrasting 'sharpie' for personalizing. I made one tweak to the printable to the leaf from Skip To My Lou. 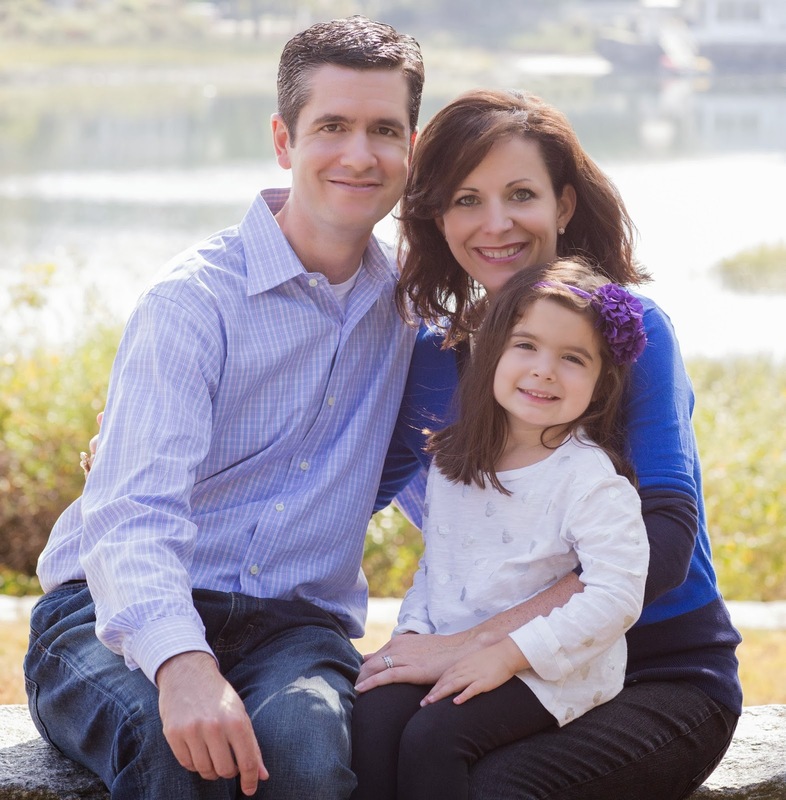 I wanted to personalize with my daughter's name. Also, I thought it would be easier to attach the leaves to the lollipop stick if the leaf shape was symmetrical (you'll see what I mean below). First, we printed out the flowers and leaves. My daughter helped me cut them all out (thank goodness!) 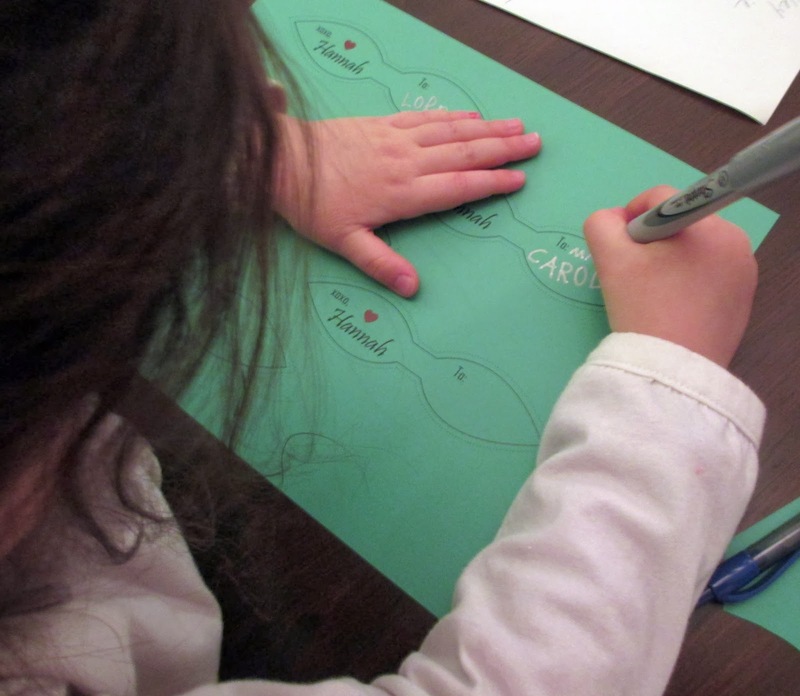 For the leaves, I had my daughter write the name of friends, classmates, and teachers on the "To:" side of the leaf. Just a little glue, and the lollipop lilies were done. So sweet, don't you think?